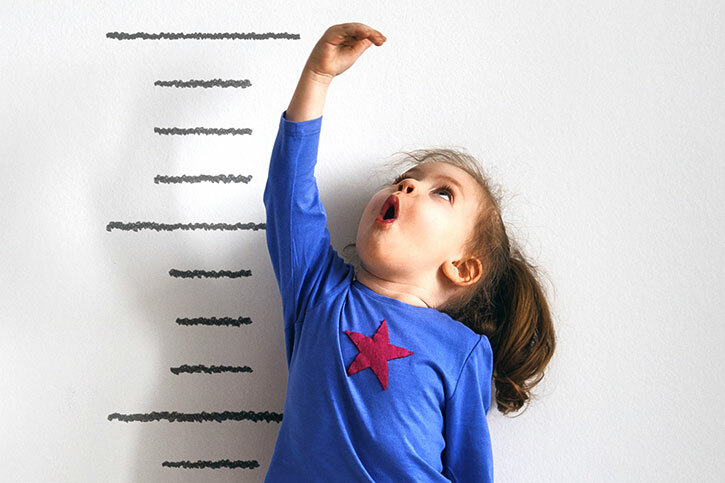 How does your nonprofit measure up? You need to know. Impact is not intent, it is the real-world difference your nonprofit makes, the results that flow from the work you do. Increasingly nonprofits, foundations, and government partners are focusing on impact rather than inputs for several reasons: to report to stakeholders, make allocation decisions or to revise current programs and strategies and more. However, despite widespread awareness, most nonprofits do not engage in consistent impact evaluation. In 2016, only 12% of nonprofits allocated evaluation to their annual budgets; and of them, less than one-third have performed impact evaluation in the previous year. most lack the structure to implement significant organizational change on their own; others, lack the resources to acquire external support to perform the evaluation consistently. Understanding data is no longer an expectation reserved for tech nerds who work behind the scenes. Today every nonprofit must be able to measure and track outcomes to articulate its effectiveness. On a day-to-day basis, immersed in service to their constituents, nonprofits often distribute intake forms, update spreadsheets and even keep mental snapshots of their work – but simply having data collection processes is not enough. It is critical to track the indicators of success most vital to your nonprofit’s mission with surgical precision, then to effectively communicate it at regular intervals. 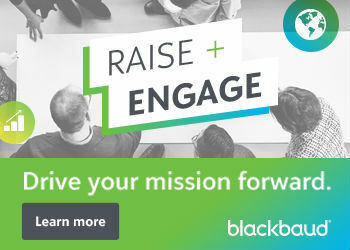 Areas of importance, depth of detail, formatting, and mediums for data reporting may all vary between stakeholders such as Board of Directors, Grantors, Volunteers, and Community Partners. As an example, in the past, a mentoring organization was expected to report on their input or activities. An example, how often mentors and mentees participated in an activity together, is a metric focused on the program’s execution, but it does not speak to the program’s value. Today, those funders would expect nonprofits to show the number of mentees who went on to graduate from high school, attend college, and secure a job with sustainable income. Sometimes implementing a data strategy means investing in technology, other times, the greater investment is staff-wide organization change. Good data leads to new insights. Good data, accompanied by critical thinking, can also lead to surprising insights that allow nonprofits to serve our clients and our community in innovative ways. Jim Reese, Atlanta Mission President and CEO, shared “(After implementing a data strategy), we learned that more individuals stayed at our (facilities) than the total number of occupants of all other shelters in Atlanta. The data disproved the presumed transience of our residents.” As a result, Reese has challenged his team to think critically about how to better serve individuals who may be long-term occupants of the Mission, and they began to lobby for increased capacity. Out-of-the-box thinking can generate new streams of revenue. 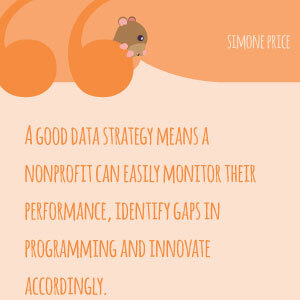 In more ways than one, data strategy provides a massive opportunity to nonprofits. Not only can a well-defined and implemented data strategy improve reporting, but it can also enable nonprofits to scale, innovate and solve real problems. “At the end of the day, it’s about helping (people) in need,” Matthew Pieper, Executive Director of Good Measure Meals. Prior to joining Techbridge as our Nonprofit Advisor, Oregon native Simone Perry spent several years in major gift fundraising and consulting for nonprofits, political organizations, and campaigns. 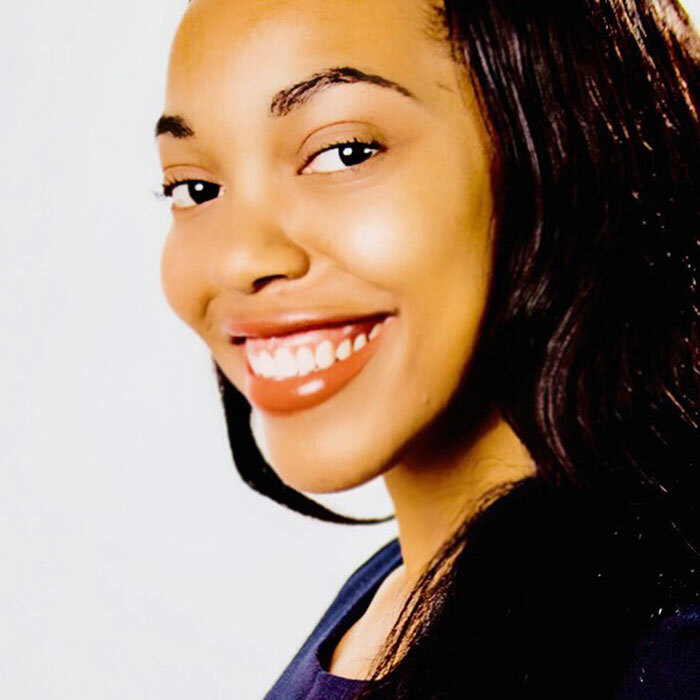 Carrying a unique combination of financial services and development experience, she excels at identifying likely partnerships and crafting strategies to engage them. Simone is a member of the Association of Fundraising Professionals and was chosen as one of “Who’s Who in Black Atlanta” in 2016. She has been featured as a guest commenter on CNN’s New Day, and Neil Cavuto Coast to Coast on Fox Business and published in the Washington Post and The Weekly Standard among other news outlets. When she’s not working Simone is likely breaking a sweat at Crossfit-Ex or volunteering with the Georgia English Bulldog Rescue.